VW Credit's Andrew Stuart: Gen Y buyers expect retail transactions with 24-hour service and at-home convenience. Young buyers don't trust the F&I process at dealerships, but there are some things savvy dealers and lenders can do to get their business. "If something is going to appeal to Gen Y, it's got to be trustworthy, nonintrusive with no hidden agenda and no pressure -- and it's got to be available at 2 a.m.," says George Halloran, auto finance program director for the Americas at BenchMark Consulting International in Jacksonville, Fla.
Young buyers, seeking an alternative to traditional financing, are adding to the upsurge in online applications for direct loans, lenders and auto finance experts say. That's significant because when customers arrange their own financing, dealerships don't have the opportunity to profit by marking up the interest rate on the loan -- a practice called dealer reserve -- so they typically earn nothing or, in some cases, a flat fee that's usually smaller than the markup would be. Dealer markup can earn stores hundreds of dollars per car. For indirect loans negotiated at the dealership in the more traditional way, younger buyers want the dealer markup to be more transparent. Greater transparency puts pressure on dealer margins in F&I. It also puts an additional burden on dealerships to show they're adding value to justify their cut of the profits on indirect loans. BenchMark's Halloran moderated a presentation on Gen Y preferences at the American Financial Services Association Auto Finance Conference early this year. The event was held just prior to the National Automobile Dealers Association convention in Las Vegas. Teams of students from the University of Arizona in Tucson and Wake Forest University in Winston-Salem, N.C., pitched their ideas for how dealers and auto lenders could appeal to younger buyers and especially how to build mutual trust. -- Down payment savings plan. As a prequel to a vehicle purchase, a dealership could help an intending buyer set up an account with a bank or auto finance company. The buyer would make regular monthly deposits. After the total hit a certain goal, say, $1,500, the dealership would match the fund. If the intending buyer made deposits on time, he or she would qualify for a lower rate. -- Gradually Reducing Interest Timeline. The Arizona students called this "GRIT." Like the down payment savings plan, GRIT is meant to address the fact that younger buyers are penalized for being "thin files" with no credit history. For every year of on-time payments, the customer could earn a lower rate -- with built-in forgiveness for a specified number of late payments. -- Information Transmission App. The so-called iTApp would allow customers to upload their personal information from home. When they walk into a dealership, customer information and items such as insurance verification and trade-in information would automatically show up in forms in the dealer's in-house communication system. The project was based in part on research from Northwood University, which teaches automotive marketing and management on campuses in West Palm Beach, Fla.; Midland, Mich.; and Cedar Hill, Texas, as well as online. Halloran says auto lenders at the conference told him they found the suggestions interesting and practical. "The feedback I got was 'Wow, that's interesting stuff,'" Halloran says. "All the suggestions they had were things that could be done. Their assignment was not to go off on a fantasy ride; they had to make suggestions that made economic sense." 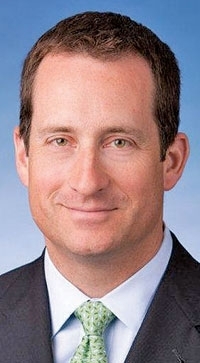 Andrew Stuart, CEO of VW Credit Inc., says a Northwood presentation at the same conference a year earlier helped motivate him to get more serious about initiatives to serve Gen Y customers better, such as a special incentive for recent college graduates. "Because of the lack of transparency, some people are uncomfortable" with traditional, indirect auto lending, says Stuart, who also is chairman of the Vehicle Finance Division of the American Financial Services Association in Washington. Stuart says that besides transparency, the roughly 70 million members of Gen Y, also called Millennials, are conditioned to expect retail transactions with 24-hour service and at-home convenience. Millennials range in age from around 12 to 32. "They want personal attention," Stuart says. "If you want to do business with them, you've got to do business quickly. You've got to come to them and provide service how they want it, where they want it, and when they want it."